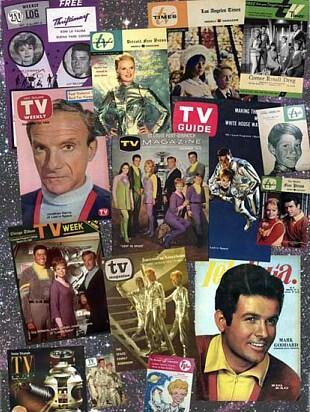 Here is 6 different TV guides released on the famous TV series, "Lost in Space". From Top, left to right,(1) Guy Williams & June Lockhart St. Louis Post. 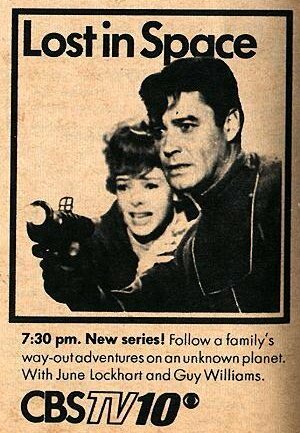 (2) Guy Williams & June Lockhart most common TV guide 1966. 3) TV magazine from St. Louis Post 1967. This is the only TV guide featuring the entire cast. (Bottom) 4) TV Times of Goddard, Kristen, Lockhart, & Williams from 1966. This is the only guide I've ever seen on this one! 5) TV Magazine featuring the 3 ladies from 1965. 6) Story page on Billy Mumy and Angela Cartwright from 1967. 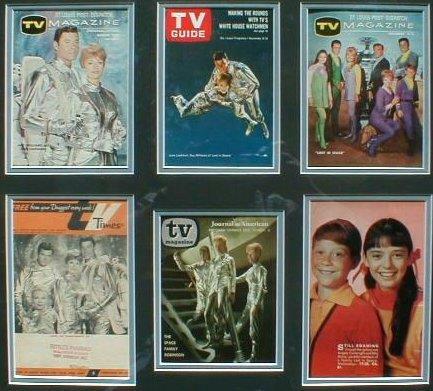 Also shown here is a special poster print of the many TV guides issued over the years on Lost in Space.